On July 12th, students in India celebrated their teachers in an annual festival called Guru Purnima. It’s a day of thanks for the time, knowledge, and dedication they give, and an opportunity to reflect on the impact they make. Teachers, after all, encourage students to grow and often act as catalysts, guiding students as they turn goals and aspirations into reality. In addition to our wonderful staff at AIC, we have a budding teacher among our students this year. 12-year-old Priyanka, an 8th standard student at AIC, receives 2 hot meals, afternoon classes, and additional benefits as part of our Education Outreach Program, and dreams of becoming a teacher. 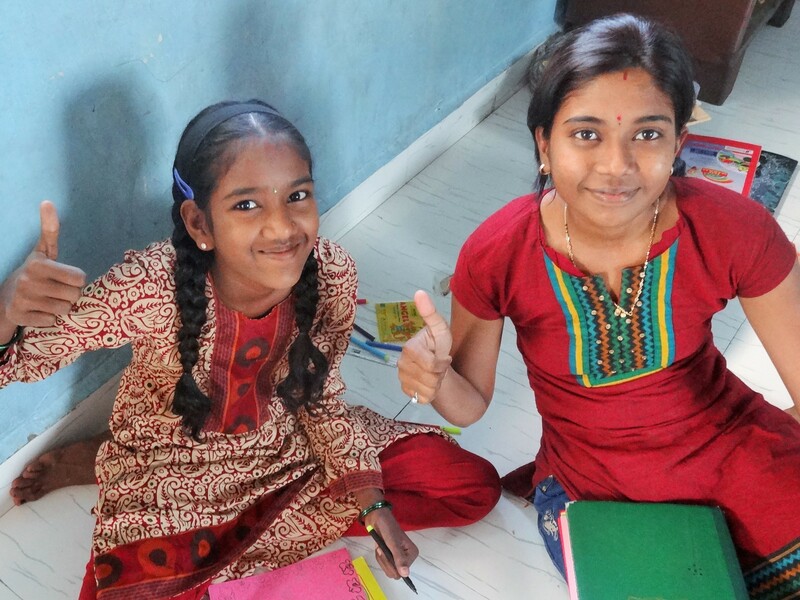 She has a passion for sharing knowledge with others, so much so that even after a long day that starts with housework at 5am before the sun comes up, she has begun holding nightly tutoring sessions for her neighborhood friends in English, Marathi, and mathematics. Not only has Priyanka grown academically, but in the years that she has been involved with AIC, she has also developed important personal skills and positive relationships. She shares, “it’s like having many friends. I don’t feel lonely here.” AIC’s support will help her continue to flourish and work toward her goal of becoming a teacher, which could mean preparing for college exams, helping with application paperwork, and exploring scholarship opportunities when she is older. There is no doubt that her passion for improving the lives of other will be a powerful motivator as she grows, and we are excited to have a role in helping her achieve her goals.